or even yourself in your Speedo! What? You don't have any swimsuit photos you dare to share? No problem! Tell us your best family beach stories instead! 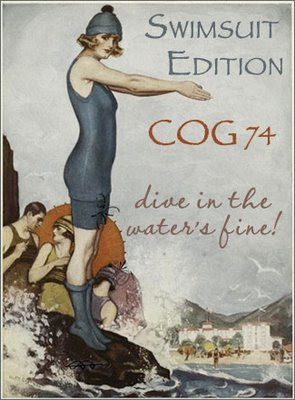 Submit your blog article to the next edition of the Carnival of Genealogy using the carnival submission form or select the 74th Edition COG poster in the upper right hand corner of this page. Past posts and future hosts can be found on the blog carnival index page. I've awarded you the "Janice Brown Puckerbrush Award for Excellence".